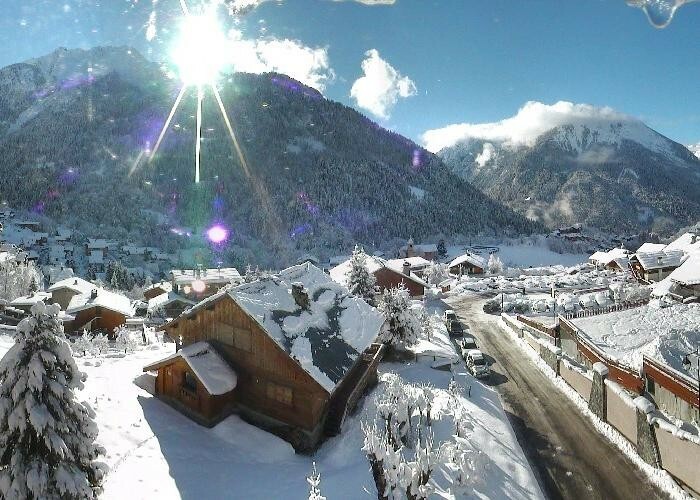 What's the weather forecast for Champagny en Vanoise this week? Check out the long-range weather forecast for Champagny en Vanoise, including temperature, predicted snowfall and wind details at the summit and base throughout the day for the next week. Tab over to overview or Hour by Hour for alternative views of the Champagny en Vanoise weather forecast. Lovely skiing today. Sunshine a plenty and deep fresh powder. Higher lifts closed today, access to La Plagne possible. Perfect day. visibility good on and off, snow deep powder for the second day. Almost perfect skiing. Should be a great week for anyone arriving today. Windy and variable visibility. Deep powder on piste, no idea off piste. Challenging and very rewarding day. Beautiful day's skiing. conditions getting better, good snowfall yesterday, great conditions today. More snow coming. Thin cover at lower levels. Perfect skiing, sorry to leave such great conditions. Conditions are excellent, deep powder and great sun this afternoon. After heavy snow for days it was great to see and ski this beautiful area.